One of your non-exempt employees, Robert, tells you he is quitting in four weeks. You will be sorry to see him go, but you appreciate the notice. Over the next few weeks, you find a replacement to start the Monday after Robert’s last day. You start to notice, though, that Robert’s heart is not in his work. He slacks off a lot and talks constantly to coworkers about his future plans. On Thursday of Robert’s last week, you decide you’ve had enough. You are better off without him and tell him you are making Thursday his last day. You do not pay him for Friday because you know you do not have to pay non-exempt employees when they don’t work. Is Robert eligible for unemployment benefits? Probably. An employee whose job ends because of a voluntary quit is disqualified for unemployment benefits unless the quit is for “good cause.” The statute sets out a specific list of reasons that constitute good cause and none of the reasons apply here. See RCW 50.20.050. On the other hand, a discharged employee is eligible for benefits absent specific reasons considered disqualifying “misconduct.” See RCW 50.04.294. Here, and although each case has to be decided on its specific facts, even though Robert was going to work only one more day, his job did not end because he quit. It ended because he was discharged. And because nothing he did would likely rise to the level of “misconduct,” he will probably be eligible for benefits. If, on the other hand, the employer had paid Robert through Friday, you get a different result. Paying the employee through their notice period preserves the “voluntary quit” nature of the resignation making the employee in most cases, ineligible for unemployment benefits. National Labor Relations Board Acting General Counsel Lafe Salomon today issued a third report on social medial cases brought before the NRLB. The report details seven cases that came before the Board and identifies which policies the Board found unlawfully overbroad and which lawful. The NLRB rules apply to both union and non-union employers. The key issue is whether the policy “would reasonably tend to chill employees in the exercise of their Section 7 rights.” Rules generally will be deemed unlawful when they are ambiguous and contain no limiting language or context making clear to employees that the rule does not restrict Section 7 rights. Prohibiting disclosure or discussion of “confidential” information is likely overbroad without language or examples to make clear the policy does not apply to discussions of terms and conditions of employment. Prohibiting all posting of the corporate logo is overbroad because it could restrict, for example, an employee posting a photo of picketing employees carrying a sign with a corporate logo. Requiring employees to come forward with questions about whether a post is acceptable is overbroad if the policy arguably covers Section 7 activity because employees cannot be required to ask permission as a precondition to engaging in Section 7 activities. Prohibiting employees from commenting on legal matters is overbroad because it restricts discussion of potential claims against an employer. Although employers can suggest employees resolve disputes through internal methods like talking to managers, employers cannot require employees to use such procedures rather than post their grievances online. Including a “savings clause” stating that the policy will not be construed in a way to restrict Section 7 rights will not cure an otherwise unlawful policy. A policy prohibiting “harassment, bullying, discrimination, or retaliation that would not be permissible in the workplace is not permissible between co-workers online, even if it is done after hours from home and on home computers” is lawful. Perhaps the best part of the report is that it includes a policy that the Board found lawful in its entirety. The policy is a helpful example that employers can use when crafting their own policies. If you would like assistance in drafting a specific policy for your company, we would be happy to help you. As expected, the Seattle City Council passed a paid leave law today. Here is an article by Chris Grygiel at the Seattle PI describing the vote and setting out some bullet points about the law. Under the new law, companies employing people in Seattle must provide paid “sick leave” and “safe leave.” Sick time is for the employee or family member’s illness, injury, or other health condition; treatment; or preventive medical care. Safe time is for absences related to domestic violence, sexual assault, or stalking and for business or school closures because of hazardous materials. Time off is accrued at the rate of 1 hour for every 40 worked for smaller employers and 1 hour for every 30 worked if the employer has 250 employees. The maximum paid time off is 40 hours if there are fewer than 50 employees and 72 for larger employers. Hours can also be carried over from year to year. An employee need not be paid for unused hours at the end of employment. Exempted from the leave requirements are employers with four or fewer employees. You can review the new law here. NLRB administrative law judge concludes discharge for Facebook posts was unlawful. What the Hell, we don’t have a life as is, What else can we do??? Cruz-Moore complained to management about the posts. HUB responded by firing five of the employees for bullying and violating the organization’s harassment policy. The employees filed a charge with the NLRB and the NLRB issued a complaint. The NLRA prohibits discharging an employee for engaging in protected “concerted activity.” Because HUB conceded firing the employees for their Facebook posts, the issue in this case was whether those posts constituted protected “concerted activity.” The ALJ concluded the Facebook postings constituted concerted activity. The concept of concerted activity focuses on employees acting with or on behalf of other employees. It includes discussions about terms and conditions of employment such as wages. The ALJ reasoned that explicit or implicit criticism of how coworkers perform their jobs is protected concerted activity. That was especially true where, as in this case, some of the posters expected that Cruz-Moore might take her criticisms to management. The ALJ rejected the employer’s argument that the posters violated its “zero tolerance” anti-harassment policy. The ALJ concluded that the policy, which prohibited harassment because of various protected characteristics such as race, age, religion, etc. was not violated because there was no evidence Cruz-Moore was harassed because of any such characteristic. Also, the ALJ concluded there was no evidence the posts would have impacted Cruz-Moore’s job performance. The only rationale for this conclusion was that she “rarely interacted” with the posters. The ALJ ordered reinstatement of each employee and an award of backpay with interest. I think this case fails to answer more questions than it answers. For one thing, this decision is from one ALJ, which has different precedential value than does a decision by the Board. We will have to wait to see how the Board rules on the issue. Also, online concerted activity is not going to lose its protection merely because the posters use some profanity or publicly criticize a co-worker. The case, Hispanics United of Buffalo, Inc., is here. Washington employers got a rare break from the Washington State Supreme Court on Thursday in a 5/4 decision (Wiggins did not participate) holding that employees cannot rely on WISHA to state a claim for wrongful discharge in violation of public policy. Matthew Cudney was discharged after complaining to management that his branch general manager was driving while intoxicated. Cudney sued his employer for wrongful discharge in violation of the policies embodied in WISHA. The reason Cudney relied on the public policy tort theory rather than a statutory WISHA violation is that he failed to comply with the statutory requirement that complaints be filed with the Director of Labor & Industries within 30 days of the discharge. 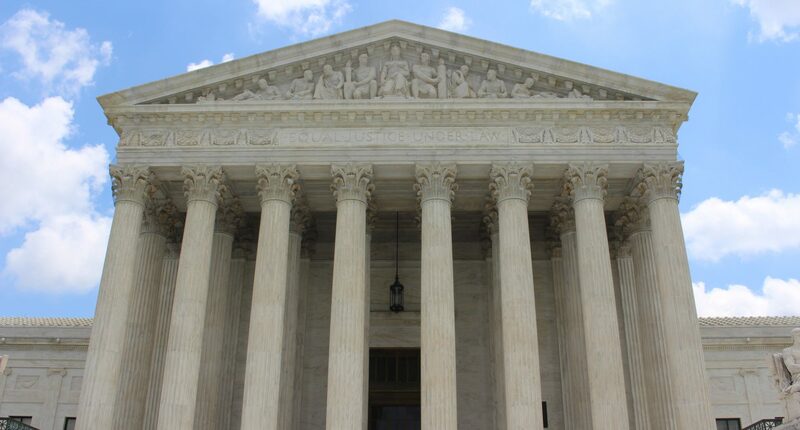 The Court concluded that the broad protections for workers and available remedies under WISHA were adequate to protect the policies of a safe workplace and whistleblower protection. As a result, the Court refused to extend the law to allow a discharge in violation of public policy tort claim based on WISHA. This is a good case for employers. Not only does the decision limit employees to the remedies and procedure under WISHA, the Court’s reasoning will likely have broader application when defending against other types of public policy tort claims. Cudney v. ALSCO, Inc. The dissent is here. In another in a series of advice memoranda from the NLRB regarding social media, the NLRB concluded the discharge of a crane operator because of his Facebook did not violate the NLRA because there was no protected concerted activity. The Advice Memorandum, regarding Helser Industries, is here. A co-worker of the crane operator informed a supervisor that the operator nearly struck an employee and knocked over a welding machine with a crane. Angry at being reported and not allowed to go home to “cool off,” the operator then knocked over two work horses with the crane. The supervisor yelled at the operator and had to finished the crane work when the operator walked away. Do you need an intervention? Maybe you need to go see a DR. and get some relief. You might need some time out. The bottom line it is only work and all they can do is send you packing. that won’t happen so take a chill pill. There are more things to worry about than work. There is life beyond that place. Besides time heals all wounds. Helsel discharged the operator when it learned of his posts. Associate General Counsel Kearney concluded that the operator’s complaints were an expression of an individual gripe and not protected concerted activity because (a) the posts contained no language suggesting the operator sought to initiate or induce group action and (b) there was no evidence that coworkers interpreted the postings as a call for group action or that any coworkers shared his concerns. This Memorandum is good news for employers. As in Lee enterprises, Inc. d/b/a Arizona Daily Star, Rural Metro, and JT’s Porch Saloon & Eatery, LTD, this case reflects what appears to be the Board’s recognition that social media posts that reference workplace matters do not necessarily constitute protected activity; there still must be evidence the the conduct is concerted. At the same time, these cases are very fact-intensive and this case easily could have come out differently if the coworker’s post had been worded slightly differently. All employers (the NLRA protection for concerted activity applies to non-union and union employees) confronted with inappropriate social media posts, tweets, or other activity need to carefully analyze the content and circumstances of the conduct to determine if the activity is concerted and, if it is protected, whether the protection was somehow lost. Today the NLRB issued its final rule requiring that employers subject to the NLRA post a detailed notice regarding employees’ rights under the Act. The notice sets out a detailed description of employee rights under the NLRA, consequences for violations of those rights, and how to contact the NLRB regarding questions or violations. The final rule, which includes a copy of the required notice, can be found here. The rule includes information from which employers can determine whether they subject to the posting requirements. Surely, no one can seriously believe that today’s rule is primarily intended to inform employees of their Section 7 right to refrain from or to oppose organizational activities, collective bargaining, and union representation. My colleagues seek through promulgation of this rule to reverse the steady downward trend in union density among private sector employees in the nonagricultural American workforce.
. . . I am confident that a reviewing court will soon rescue the Board from itself and restore the law to where it was before the sorcerer’s apprentice sent it askew. But for now, at least, employers subject to the new rule will have to post the notice beginning November 14, 2011. The notice must be at least 11 inches by 17 inches (or two 8 1/2 x 11 sheets taped together). The notice must be posted in conspicuous places where the notice will be readily seen by employees, including all places where notices to employees concerning personnel rules or policies are customarily posted. Federal contractors that comply with the Department of Labor’s notice-posting rule regarding rights under the NLRA are deemed in compliance with the NRLB’s rule and do not have to post a second poster. If 20 percent or more of an employer’s workforce are not proficient in English but speak the same foreign language, the notice must be posted in that language. If the employer’s workforce includes two or more groups constituting at least 20 percent of the workforce who speak different languages, the notice must be either posted in those languages or posted in the language of the largest group and provide each employee of the other language groups a copy of the notice in the appropriate language. Employers can request from the Board a poster in a particular language. If a poster is not available in that language, employers are not liable for non-compliance until the notice becomes available in that language. The Board construes failure to post the notice as a unlawful interference with Section 7 rights in violation of Section 8(a)(1). The Board will customarily order the employer to post the notice and to post a remedial notice. The the 6-month limitations period in which an unfair labor practice charge must be filed will be tolled (unless the employer proves the employee had actual or constructive knowledge of the conduct alleged to be unlawful and that such conduct violated the NLRA, yet failed timely to file a charge). A knowing and willful failure to post is considered evidence of an unlawful motive in those unfair labor practice proceedings in which motive is an issue. You can download my PowerPoint slides from my Social Media in the Workplace presentation at the EEOC’s Annual Seminar in Seattle here. An online database of 177 social media policies is here. The NLRB Acting General Counsel’s summary of social media cases before Board is here. The U.S. Chamber of Commerce’s summary of social media cases before the NLRB is here.